Home » Blog » Posts » Is There A Doctor On The Plane? It is hard to believe that I am again in Fiji. Where did that twelve months go?! 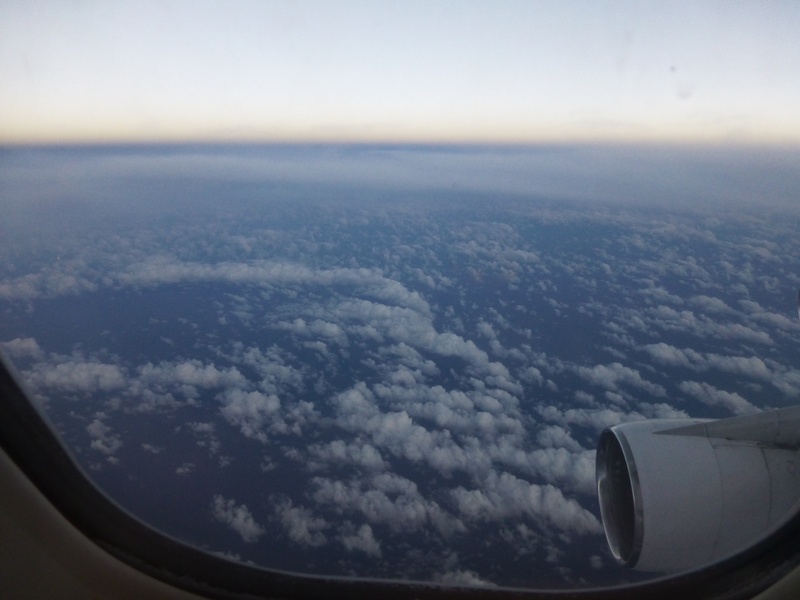 On Sunday, our small screening team departed Australia. 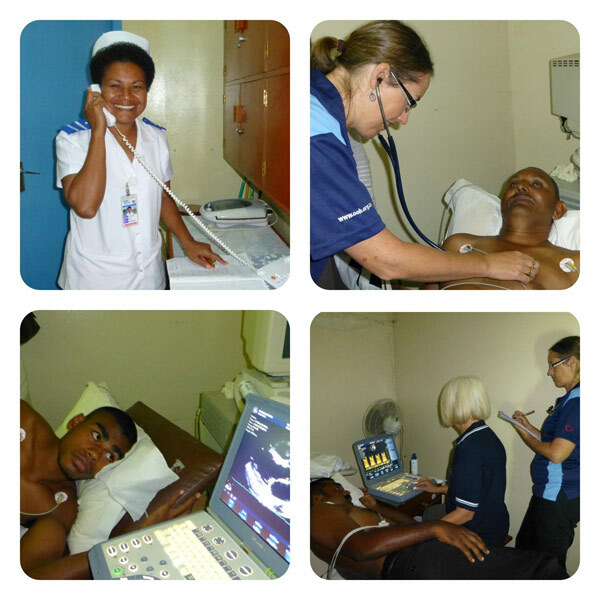 The team consists of paediatric cardiologist Dr. Malcolm Richardson and sonographer Kerrie Richardson, as well as adult cardiologist Dr. Susan Wright and Kerry Lewin. Also here is Linda Thomson-Mangnall who is working on the Research project, and yours truly is along for the ride to do the enivitable troubleshooting! 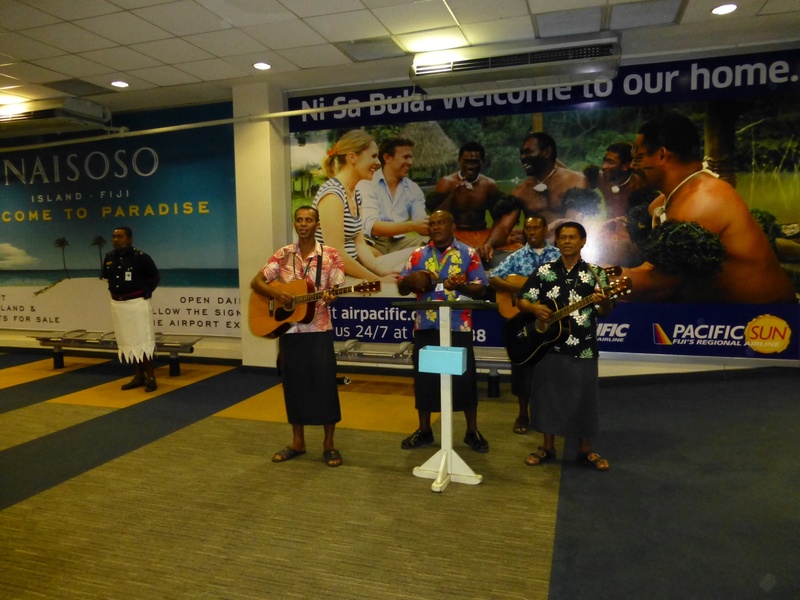 Arriving at Nadi International airport on Sunday night, brought back all the familiar sights and smells. For me, it ignites memories of past experiences in the beautiful Fiji Islands, and reminds me why I love this country so much, and why I keep coming back. Monday, our first clinic day was full on. The clinic consists of new patients being assessed as potential surgical candidates. No surgery occurs during this trip, we collect all the data, decide on the cases at the end of the week, and the full surgical team will be here at the end of May to do the surgery. Part of the joy of this week, is also seeing the familiar faces returning to say hello. It is very rewarding to see how well patients are, and how life has changed for the better after their surgery.